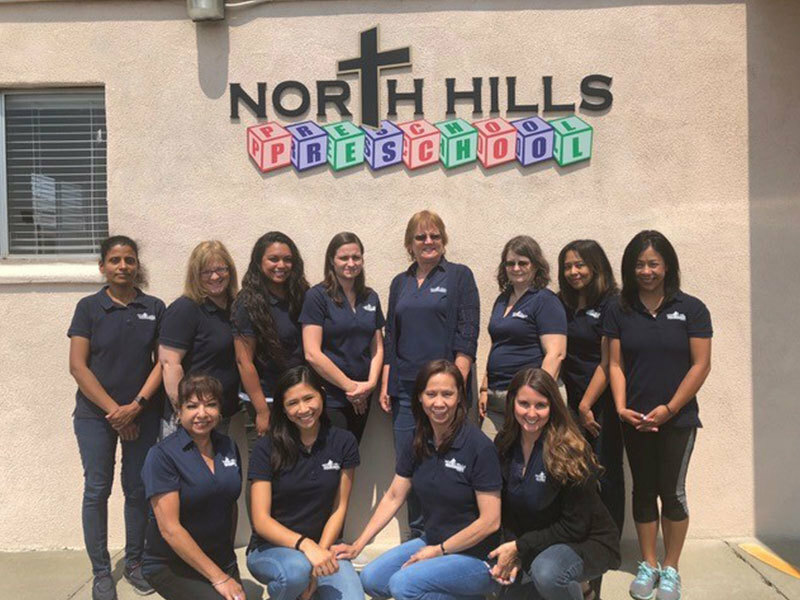 At North Hills Christian Preschool all staff are committed Christians who have a strong personal walk with Christ and a sincere love for children. All staff members meet or exceed the requirements of the State of California for training experience and early childhood education. All staff members have been fingerprinted, and have a Child Abuse Index clearance, they are certified in First Aid/CPR.